China is currently encountering increasing social problems, together with the rise of mass discontent and public protest, despite having achieved enormous economic growth after nearly thirty years of market socialism and embracing globalization. The future of China thus depends not only on the economic progress the nation has achieved - and will achieve - but also on how the government addresses growing social tensions. Focusing on why social tensions have arisen despite economic prosperity and how the state is responding, this book presents rich, original data about many of the social challenges facing China, including rural-urban migration, unemployment, the health care crisis, the rise of religion, the desire for increased individualism, and new mass movements. 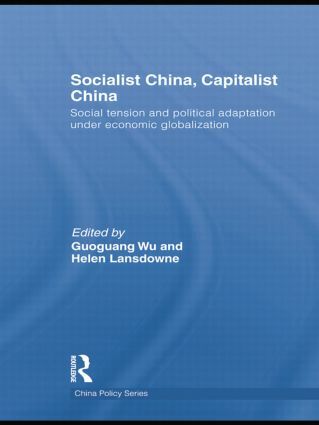 It investigates governmental responses to deal with the problems including legal and political reforms and local governance innovations, throughout setting the discussion in the context of how far a traditionally ‘socialist’ nation can be integrated into global capitalism. Overall, the book provides a timely, up-to-date, and down-to-earth examination of and reflection on China’s continuing socio-economic and political transition.